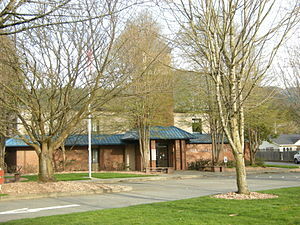 On October 21, 2013 the Issaquah City Council voted to put the newly qualified citizen’s initiative to “REPEAL of Plastic Bag Ban and Forced Bag Charge” on the February 11, 2014 ballot. Giving citizens the opportunity to resolve the ban’s fate. Thanks to the hard work of Craig Keller, co-founder of Save Our Choice, and a small team of volunteers. More than 15% of all Issaquah voters signed the petition to force the city council to either repeal the ordinance or refer the decision to voters. Earlier in October, the King County Department of Elections concluded that enough valid signatures were collected to qualify the initiative for the ballot and issued a Certificate of Sufficiency for the Save Our Choice petition to Issaquah City Council. A total of 2626 out of 4266 signatures collected were found to be valid to qualify the initiative. According to Craig Keller, there is mounting dissatisfaction with ban and the majority on the city council had the power to correct their earlier bad decision. In fact, once the King County Department of Elections certified that the initiative had collected enough valid signatures, the city council could have repealed the ordinance but instead voted to put the issue on the ballot in 2014. Now residents of Issaquah, Washington will have a voice on whether the plastic bag ban and fee on paper bags will be repealed. SO, what do you do with a stiff necked city council? Did the city council vote unanimously for the bag ban or are there some reasonable members? All Issaquah residents/voters must come out Feb’2014 to vote it down. We need our governments to tackle big issues and make our lives better, such as education, keeping the city safe and clean, building infrastructure, creating good climate for businesses to want to come and open in the city which create jobs. The bag ban is bad for businesses (bagging customers’ purchases is the least customer services retailers should do), bad for residents (we use plastic bags for trash and pet waste), and bad for environment (paper came from trees. Paper take more natural resources and energy to make. It create more greenhouse gases. I’m for repealing the bag ban as well as lifting the tax on paper bags in California. What are my options to help repeal this idiotic law? Also, don’t put down paper products. Paper is renewable, recyclable, and biodegradable, plus, for every tree used, two more are planted, and we have more trees and forests because of paper products. Don’t fall into the environmental scam that we are killing trees and polluting the air because of paper. The best thing is to write your California State Legislators to not pass a plastic bag ban at the state level. The next best thing is to write letters to the editor of your local paper to oppose bag bans and paper bag fees. Get your friends to do the same. Politicians read the letters to the editor to get an idea of what is going on in the community. Also let your friends know about our Fight The Plastic Bag Ban website and encourage them to become followers. The next best thing is to find a group of people who are willing to do the hard work and collect signatures. There are some legal things that must be done, but that will be the subject of a future article. Putting an initiative on the ballot is the only way to get rid of bag bans and bag fees.